Acupuncture is one of the oldest and most effective, relaxing & gentle forms of medicine that is still used today. Acupuncture is usually used as part of your Traditional Chinese Medicine treatments and involves the use of fine, thin needles that are inserted in the body at very specific points. This process is believed to adjust and alter the body’s energy flow into healthier patterns and is used to treat a wide variety of illnesses and health conditions. Although acupuncture is its best-known technique, Chinese medicine practitioners traditionally utilise herbal remedies, cupping, moxa, dietary therapy, lifestyle changes and other means in with your consultations. According to traditional Chinese Acupuncture theory, there are 12 main meridians (lines of energy), 15 collaterals (branches) and 8 extraordinary meridians which link the body’s internal organs, surface, head and limbs into one integrated whole. And this interconnectivity is what allows an Acupuncturist to treat internal symptoms via the acupuncture points (acupoints) on the skin’s surface. 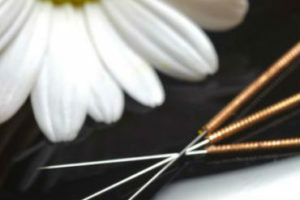 Cosmetic acupuncture (or facial acupuncture) is a safe, gentle and natural anti-ageing procedure. It can be used to assist in the softening of fine lines and wrinkles, as well as to help lift sagging skin, increase the firmness of skin and to boost blood circulation to achieve glowing skin. Facial and cosmetic acupuncture at our Melbourne CBD and North Melbourne clinics is safe, non-invasive, natural and cost-effective. An Acupuncturist selects a number of points on the body, depending on the condition being treated. Fine, high-quality needles are then inserted into the skin and are normally left in place for around 30 minutes. The Acupuncturist may also stimulate the needles from time to time by flicking or rotating them. The purpose is to encourage the normal flow of Qi (life energy) through the body, to restore balance and wellbeing. Anywhere between one and twelve acupuncture points will be used in a session, depending on the number of symptoms you have. When you attend an appointment for acupuncture in North Melbourne or our Melbourne CBD clinic, they will explain the process to you and take you through the steps involved. All needles used are single-use stainless steel, which do not hurt as they are extremely fine (around 0.2 mm wide). After your session, you will usually feel relaxed and refreshed, but responses vary with the individual – some people report feeling energised, others become sleepy. The number of treatments you will need depends on your condition, but most people experience a reduction in symptoms after just a few sessions. In the case of chronic pain, treatment is discontinued once a suitable level of pain relief is achieved, with top-up sessions recommended after that. WHY ACUPUNCTURE AT MELBOURNE NATURAL MEDICINE CLINIC? At Melbourne Natural Medicine Clinic you’re treated as a member of our family, not just another client. That means we listen to you and support you in every way we can to help you attain the level of wellness you’re trying to achieve. If you know which type of service you need, you can simply make an appointment and start receiving treatment straight away. Or, if you’re not sure which form of therapy is best for you, we can provide a no-obligation, free consultation to discuss your symptoms and offer suggestions on which services might help you feel your best. Contact us on 03 9686 2566, email us at info@melbournenaturalmedicine.com.au, or submit an online enquiry, and our amazing team will be able to assist you further.